Fill out the form with any questions or inquiries you have for the sales consultants at The Estates at Patapsco Park. You can also call or chat with us for immediate responses. Almost sold out! Don’t miss your chance to build a new home in Ellicott City, Maryland next to Patapsco Valley State Park. 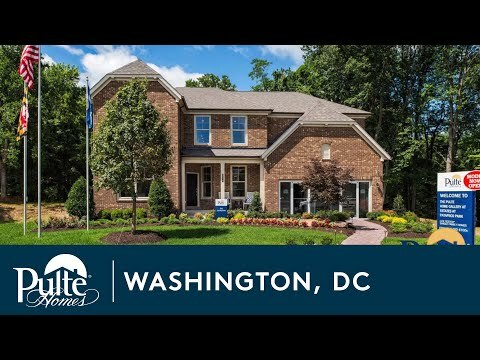 Limited homesites remain at The Estates at Patapsco Park, an intimate community that offers the best of both worlds with close access to I-70 & Rt. 29, yet its tucked away from the hustle & bustle. Future trails & playgrounds coming soon. To schedule your visit, call (877) 792-1162. The life you want to live is waiting for you at The Estates at Patapsco Park. Explore this community and see for yourself. The Maplevalley offers flex and café spaces, an upstairs loft, and an optional Super Laundry®. The Willwood has a 2-story gathering area, formal dining room, huge loft, versatile flex space for a den or study, and an additional tandem parking area in the garage. Castleton boasts a 2-story gathering room, built for entertaining. The café area and large owner’s suite both feature expansive windows that allow for maximum natural light. The Melrose design boasts a formal dining room, two flex rooms, Pulte Planning Center®, and a naturally lit 2-story gathering room. The active outdoor lifestyle you envisioned is waiting at The Estates at Patapsco Park. Adjacent to the community, Patapsco Valley State Park offers canoeing day-trips, kayaking explorations, camping and hiking trips, and mountain biking excursions. When plans call you into town, discover Historic Ellicott City only 5 miles away, or venture 15 miles to the city of Baltimore. Ranked by Money Magazine as one of the Top 10 Best Places to Live, Historic Ellicott City provides a rural atmosphere with easy access to urban Baltimore. Spend the day exploring the four floors of gifts and antiques at Ellicott’s Country Store or visit Chatham Station Shopping Center for household necessities. The Estates at Patapsco Park sits adjacent to the Patapsco Valley State Park, for hiking, fishing, camping, canoeing, kayaking or mountain biking, just minutes from your front door. Coming Soon to the Estates at Patapsco Park: a multi-purpose field, picnic areas, gardens, playground, exercise stations & a paved trail to the local elementary school. Enjoy a finished rec room at The Estates at Patapsco Park for a limited time. With over 80% sold out, don't miss your opportunity to own a walkout basement or cul-de-sac home in The Estates at Patapsco Park community. Our single family home community is now offering up to $10,000 towards closing costs for a limited time. Call or visit today for more details.